Many thanks to long time supporter K. Wilson for honoring Jacko with another charitable contribution to Help Tripawds Everywhere! As always, in memory of Jake (Jacko von Tem, BH, BST, CGC, TT). What a great way to honor that big Warrior! Look at him having a blast showing that arm sleeve that being a tripawd only makes him stronger!!! 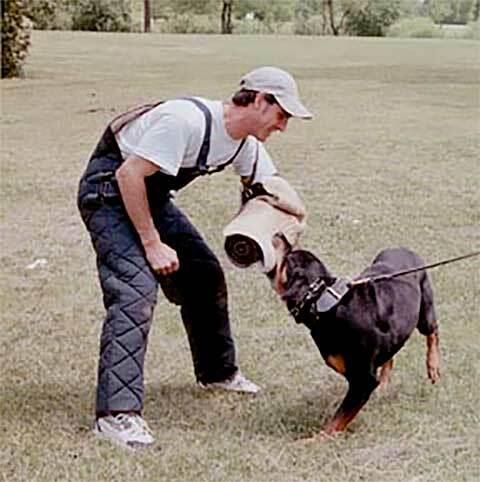 🙂 Such a great “chew roy” for a Rottie!! Is there a link to anynof Jacko’s vlogs? Would love to read more about him! Thankds to Jacko and his human for continuing to support this great community! 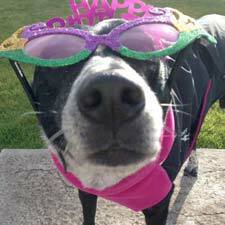 Kathi has been a long time supporter since long before there were any Tripawds Blogs. Here is a previous Honor Roll tribute to Jake.